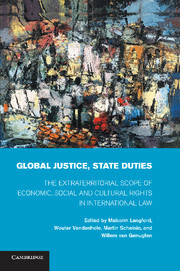 The calls for an international treaty to elaborate the human rights obligations of transnational corporations and other business enterprises have been rapidly growing, due to the failures of existing regulatory initiatives in holding powerful business actors accountable for human rights abuses. 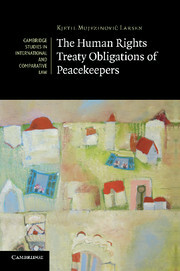 In response, Building a Treaty on Business and Human Rights explores the context and content of such a treaty. 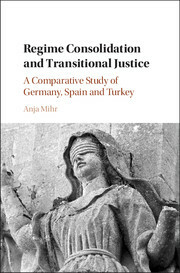 Bringing together leading academics from around the world, this book engages with several key areas: the need for the treaty and its scope; the nature and extent of corporate obligations; the role of state obligations; and how to strengthen remedies for victims of human rights violations by business. 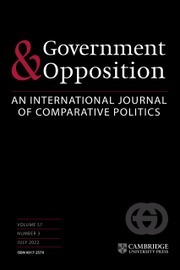 It also includes draft provisions for a proposed treaty to advance the debate in this contentious area and inform future treaty negotiations. 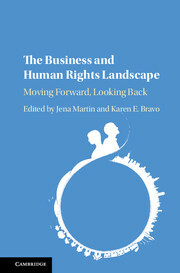 This book will appeal to those interested in the fields of corporate social responsibility, and business and human rights. 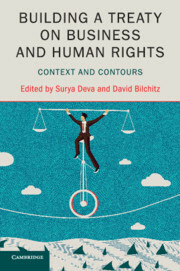 Conclusion: connecting the dots: how to capitalise on the current high tide for a business and human rights treaty Surya Deva. 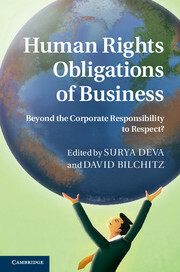 Beyond the Corporate Responsibility to Respect?